What an awesome oversized market tote. 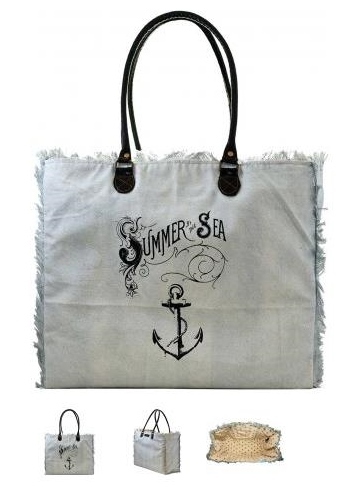 It is handcrafted with recycled canvas and has one interior pocket and is fully lined. It has 2 leather handles. 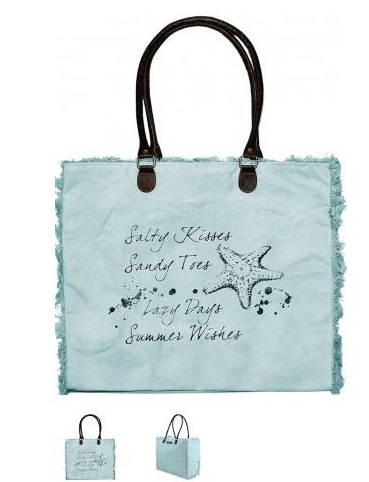 Love the Summer By The Sea saying and the anchor underneath.